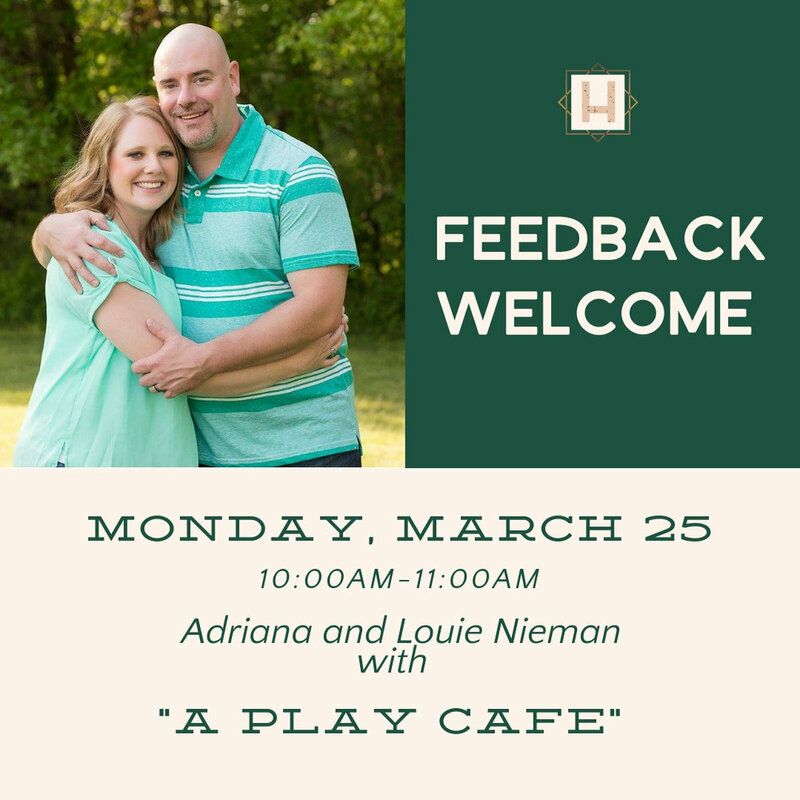 “We're looking to open a Play Cafe for kids to explore in a comfortable, clean, and calm environment. We're envisioning a cute coffee shop meets the Magic House. Our play cafe will allow children under 8 years old to explore educational stations, play pretend in a variety of settings, and enjoy the minimally stimulating atmosphere. Parents can explore the coffee and lattes while seated still watching their children. Healthy, light snacks will be available. Several private event rooms can host birthday parties and kid friendly adult meetings. Our presenters are looking for an opportunity to brainstorm their idea, receive feedback on the concept, and connections for next steps.